With the busy lifestyle in Singapore, people have very little time to attend to trivial matters such as picking additional furniture to liven up parts of the home. But the holidays are fast approaching, which means there’s a chance that you’ll be entertaining people in your home. You wouldn’t want your house to look plain and uninviting when your guests arrive, would you? Unique seats. An accent chair is not only useful for seating, but can also act as a discussion piece. If you want a seat that’s low maintenance, look for those whose upholstery is made from synthetic fibre such as nylon, polyester and acrylic. Light fixtures. Keep your room well-lit, but don’t use a single harsh white light which makes your space look like a hospital waiting room. To set a relaxing mood, utilize layered lighting. Use a combination of wall lamps, table lamps and floor lamps. Placing these lighting fixtures at strategic locations will light up the room properly, while also improving the ambience. Ornamental plants. 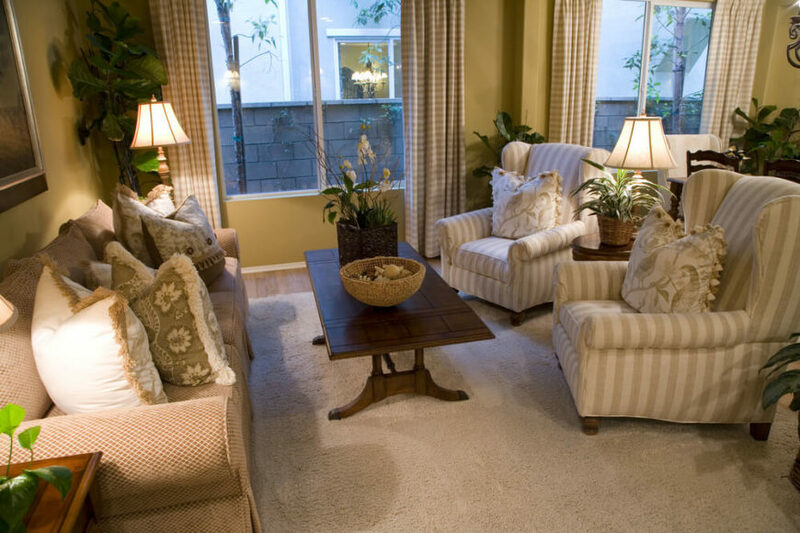 A little green will bring life to an otherwise monotonous room, while improving the quality of air. This is also useful if you have little or no windows in your living room. Orchids and ferns are nice choices. But if you want plants that need little attention, go for succulents such as cactus. You can also get a pre-made terrarium which requires little care. Wall design. Pictures or artworks on your wall can serve as focal point. It adds character and color to your room. Or if you have a large blank wall, you can add wall shelving which will carry your plants, pictures, figurines, books and other trinkets. Rug. A rug can give that warm, inviting look to your space. If you have a plain sofa, get a printed rug to make your living room pop. Rugs can also warm up cold tile floors and reduce the noise of foot traffic in the area. If you hardly have the time to visit a furniture store yourself, you can always shop online for furniture in Singapore. Whatever you buy will be delivered to your doorstep and all you have to do is just properly layout your living room. With these items in your living room, you will be able to achieve that sophisticated look. Your guests would surely be impressed.